Brand new CU Set in the shop tonight ~ "Have A Heart" 5 .png and .csh templates. Pretty versatile and cute!! Click on the preview to get it in the store on sale for only 99 cents!! 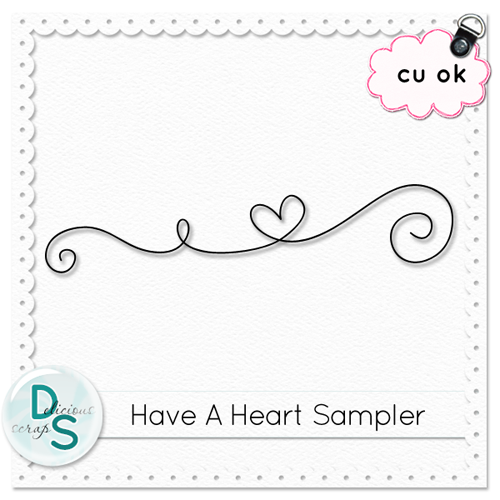 Here is a free CU Sampler :) Click on the preview to download. Thank you so much for this post. I want to let you know that I posted a link to your blog in CBH Digital Scrapbooking Freebies, under the Page 1 post on Jun. 01, 2011. Thanks again. So sweet! Thank you for the freebie. These are beautiful! Thank you for sharing!! !